Most of the homeowners who got stuck in bad loans during the mid 2000’s have experienced the loan modification process. Millions of Americans have been able to remedy their mortgages with loan modifications. However, millions more have been put through the wringer with loan modification attempts and remain in their troubled mortgages. So, why have so many homeowners had such widely different loan modification results? Well, that’s a complex answer. The problem with loan modifications has always been that there was never any consistency to qualifying. Sure, the mathematical formulas were always relatively the same, but there were always exceptions that could trump those formulas. Let’s create an example of two homeowners with similar income and expenses. `Now, let’s say that each homeowner had a qualifying hardship, which made their payments unaffordable. Let’s also say that each had a mortgage payment that had become 45% of their household income. Let’s say that each one of them was in an adjustable rate loan with a current interest rate of 9%. Lastly, let’s say that both loans were serviced by Bank of America, and that each homeowner submitted an RMA (Request for Mortgage Assistance). Chances are, they would have the same loan modification results, right? Each of these homeowners would be ideal candidates for favorable loan modification results. Even though the HAMP loan modification has expired, it is a good gauge of acceptable guidelines. The scenarios described above would likely both be approved for HAMP during its term. Theoretically, the interest rate could be reduced changed to a fixed interest rate. If necessary, the term could be lengthened to make the homeowner’s payment even lower. All of the large banks and servicers have “in-house”, proprietary programs. Those programs typically have less stringent requirements than the HAMP program anyway. This all sounds relatively simple, right? Well, at this point, the whole outcome depends on one factor. 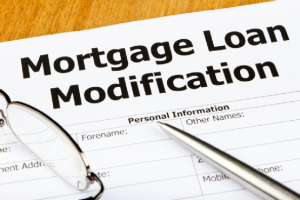 Does a loan modification serve the best financial interest for each of the investors? Ultimately, a loan modification is voluntary. Let’s go back to those two homeowners with the exact same set of qualifications. Now let’s say that one of them had private mortgage insurance (PMI). In this scenario, it is possible that a default and foreclosure on that property would be more profitable to the investor. The investor could deny all requests for a loan modification since participation in any loan modification program is voluntary. Instead, they could elect to foreclose on the property, if it was in default. They could then cash in on the mortgage insurance claim and sell the property, for substantial profit. 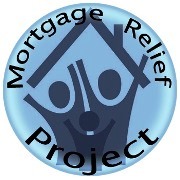 Let’s also say that the other homeowner did not have PMI, and their house was worth less than the mortgage amount. For the note holder of that loan, it would make more sense to keep the homeowner in the home and continue to collect payments, even at a reduced amount. A substantial amount of money would be lost if that note holder had to foreclose and resell the property. And so, it is easy to see why two homeowners of equal qualifications could have completely different loan modification results. For some lenders, this was all part of their business plan. They wrote loans that had terms which would eventually make the mortgage unaffordable (predatory loans). Then they required the borrower to carry PMI before they would issue the loan. This plan ultimately lead to millions of mortgage defaults that ended in a foreclosure and mortgage insurance claims. This precise scenario has already happened millions of times here in America, often with the assistance of the servicer. You see, over the past 7 or so years, many homeowners were convinced by their servicers that the only way to qualify for a loan modification was to become delinquent on their mortgage. Accordingly, many homeowners were led astray and intentionally stopped making their payments, thinking it would benefit them in the long run by qualifying them for a loan modification. For some of those homeowners, the intentional default strategy was successful. For others, it cost them their home. 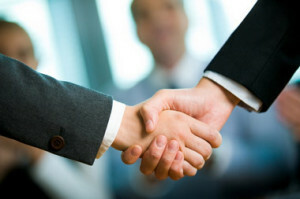 Simply put, hiring an attorney to resolve your troubled mortgage is the wise choice. Experienced loan modification attorneys are familiar with available programs and potential pitfalls. They have the ability to deploy legal strategies that can stop a lender from using deceptive practices to take your home. Your home is one of your most valuable assets. It just makes sense to hire an experienced foreclosure defense attorney to protect it.